The purpose of Beliefology is to introduce to the grass roots community the best kept secrets of the ages—you create 100% of your personal reality and co-create your collective reality. Our conscious thoughts, beliefs, ideas, and emotions are transmitted as energy frequencies which act as magnets that attract experiences and events. 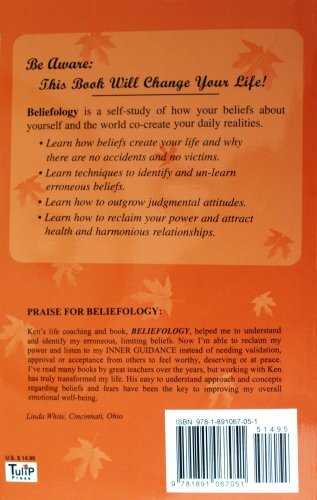 Please be cautioned that this book, Beliefology, will change your life! It will raise your consciousness to greater wealth, health, and happiness. 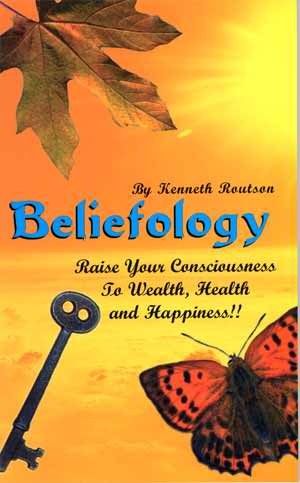 If nothing else, Beliefology will change the way you perceive yourself, God, the universe, and the world with all of its man-made institutions. This book is a prelude, as well as a prerequisite and introductory course as we are into the new millennium with major shifts in almost every paradigm ever established. Beliefology simplifies complex metaphysics, quantum physics, and natural progressive spirituality and makes it practical, functional, and understandable. Science, religion, and medicine are merging with a viable synergy. Consequently education, business, and politics will never be the same. Earth and weather changes will also be affected by this change of consciousness. In addition, it demonstrates how judgement is extremely limiting and has detrimental consequences. Even if you don’t believe all the ideas and concepts in this book, you will forever after question everything you’ve ever been taught, and future events and experiences will be seen in an entirely different light. Beliefology makes a wonderful gift to give to family and friends. Just let us know whom the book is for and we will make sure it is personalized and autographed by Ken Routson.